16 Thumbs Up! Give your thumbs up. 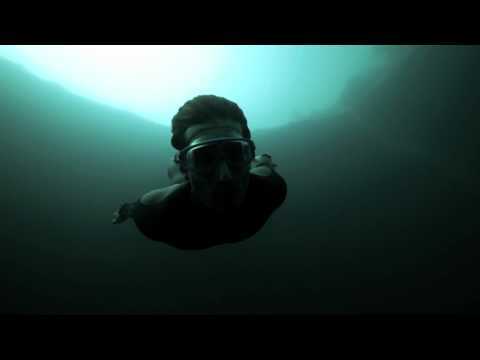 Dean's Blue Hole dips some 663 feet (203 meters) into the ocean floor right off shore. It is said to be the deepest blue hole in the world, and the second largest underwater chamber. Experts who have dived the site report that it is enclosed on three sides by a natural rock amphitheater and on the fourth side by a turquoise lagoon and powder white beach. There is never any swell or waves inside the hole, and visibility is usually between 50-100 feet (15 - 30m). At the surface the Blue Hole is 80 x 120 feet (25 x 35m), but opens out after 60 feet (20m) into a cavern with a diameter of at least 330 feet (100m). The Freediving World Record was set here in April 2007, and it is also site of the International Free Diving Competition every year. GETTING TO THE SITE: Head south out of Scrub Hill, then turn left at the sign that says 'Dean's Blue Hole' on the left. Drive through the road and follow the signs until you reach the parking space. Park your vehicle and walk out to Dean's Blue Hole. Professional diving and swimming is allowed, at your own risk, but swimming at night is not recommended. Please note that there is no lifeguard on site. This area might not be suitable for persons with mobility impairments and those in a wheelchair, because of the loose, sandy/rocky soil. 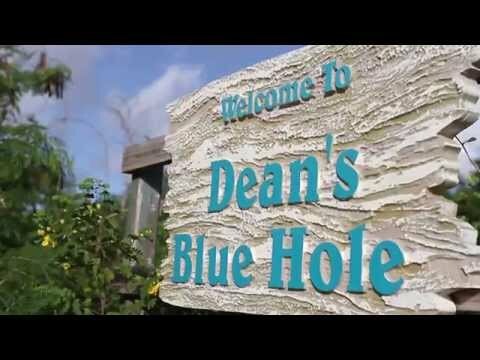 Extreme care should be taken on the path to Dean's Blue Hole. Pets can run the beach as well as swim with owners on the site, but should be leashed.